How do you match a global brand’s vision and thought leadership with an equally innovative platform targeted at time poor executives? The Brief: BT’s team of experts were already making their voice heard across their main site and social media channels, but with so much content being generated everyday and always facing the challenge of hitting the right people at the right time, BT wanted to find a way to target content and insights directly into the hands of their target audience. Our Solution: We spotted an opportunity for BT to set the benchmark for their competitors and deliver digestible content directly to customer devices using a bespoke digital magazine platform. 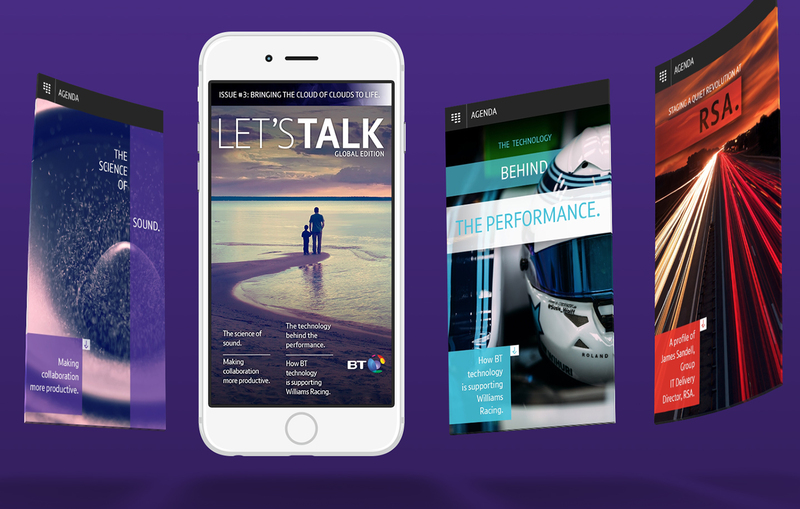 JPC worked as partners to BT’s in-house digital team, developing the brand, structure and content approach for the new BT Let’s Talk Global Edition. Designed to be a content and media rich experience to engage customers and provoke conversations, the app was made available across all operating systems. Once downloaded, it pushes notifications to alert readers of new content and can be accessed locally – without reliance on an internet connection. 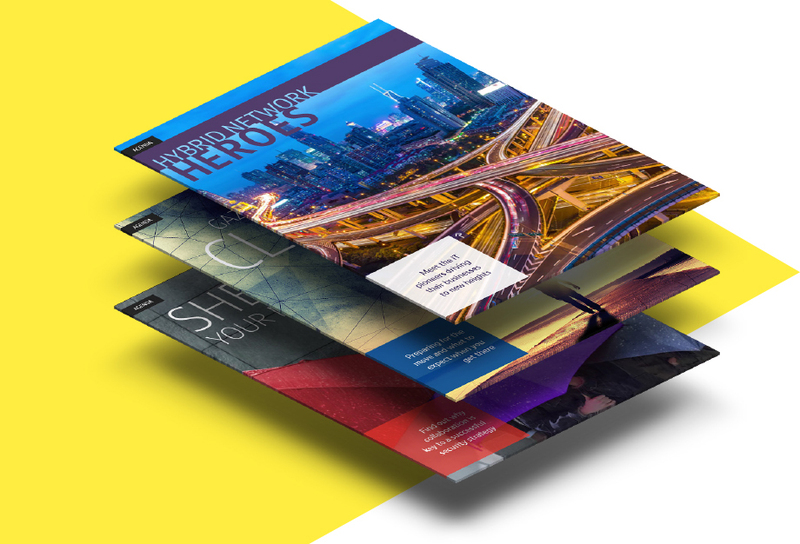 Customers got instant access to BT’s insight and opinions, with content authored by BT and industry experts and tailored around current technology themes. A strong business message directs them back to the BT website whilst integrated social media feeds initiates conversations to promote further content. Inbuilt data analytics tracked the readers’ journey, generating a report of popular content, user profiles and statistics – that help continually refine the personalised customer experience. The Result: A media rich, fully immersive digital experience available across smartphones, tablets and a range of operating systems for accessibility on the go. Achieving the objective of 100% repurposing of original content we created a business development and sales enablement tool that starts conversations, shares insight and fully engages customers and employees.